All our Neuro Linguistic Programming (NLP) events/trainings in mumbai are conducted by certified NLP Therapists, who have at least one year of professional experience. When you book an event/training at Life Positive, you are protected by the Life Positive seal of trust. The study of excellence! A method of mapping and tracking human experience for the purpose of creating change, modeling excellence and communicating effectively NLP will enable you t. . . The study of excellence! NLP is a method of mapping and tracking human experience for the purpose of creating change, modeling excellence, and communicating effectively. NLP wil. 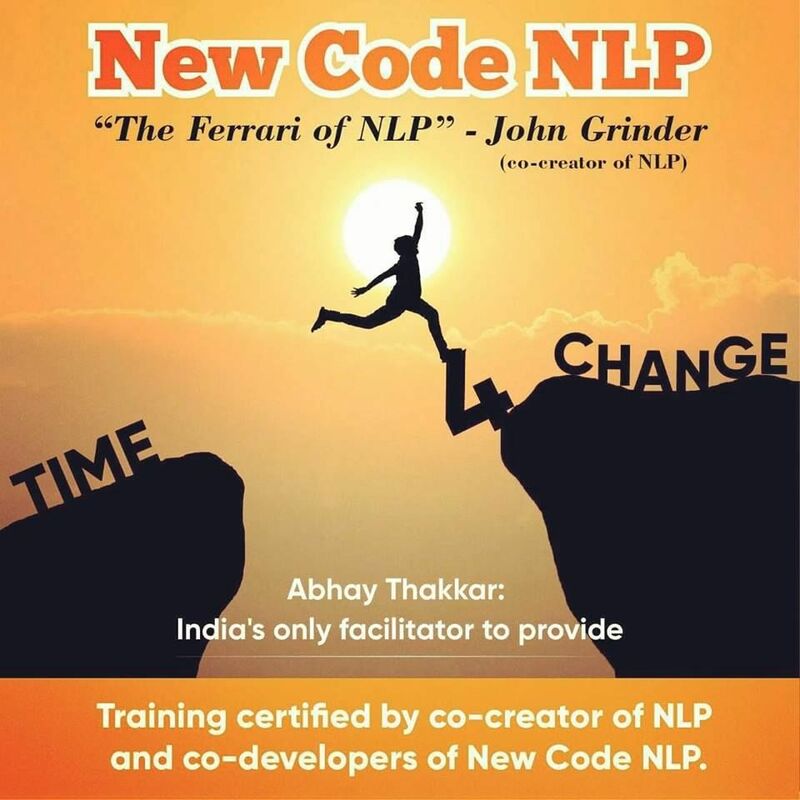 . .
New Code NLP Your certificate will carry the prestigious signature of co-creator of NLP & New Code NLP – John Grinder . . .
NEW CODE NLP - “New Code NLP is the Ferrari of NLP” – John Grinder (co-creator of NLP) New Code NLP was created by co-creator of NLP- John Grinder, to rectify the flaws . . . It is possible to learn by taking Neuro Linguistic Programming courses in Mumbai. However, learning it from a trained practitioner face to face is better than simply reading the steps online. You can ask questions and clarify your doubts. It brings you in proximity to the energetic vibes of the programmer. This can create a positive effect on you. 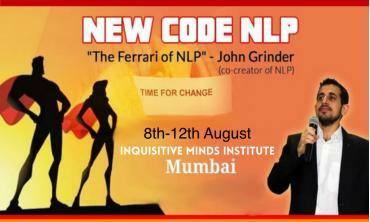 All this and more happens at the Neuro-Linguistic Programming courses in Mumbai. You not only learn this important life skill but also get a hands-on experience on what this is all about. ...you urgently need to understand what your mind is saying. Just one day can transform your life. Enrolling for Neuro-Linguistic Programming courses in Mumbai can open newer doors of success for you. It gives you a chance to interact with like-minded people. Most importantly, you come in contact with optimists and achievers. This helps to tune your mind to a higher frequency. How do you feel after a training session? Awakened! You had never realized your subconscious talked! You may have felt it, but now you can understand it. about your own mind! You know better.
" Good team work, I was impressed with the session. Every staff members were helpful, however the pick up being Monali, since I was unable to reach the location and disturbed her at 8am, she was extremely professional and was helpful in every sense. Thanks once again...."
" I have been associated with life positive workshops since last one year and i have gained so much positivity in my career that i can't thank them much. Thank you Life Positive. Parteek Goyal"
Andheri East, Mumbai, Mah. . .
" Hi Abhay, this is one of the best and the most enriching workshops I have attended. Thank you for being a great trainer. I take back many insights apart from the subject. I am so glad I could make it. Wishing you many many more workshops like this so many more people can benefit. I really enjoyed new code NLP. Best Wishes." 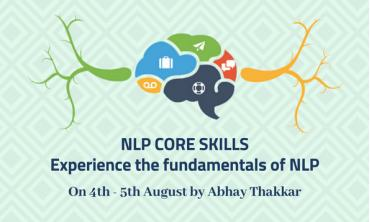 " Hi, I thank all of you for those amazing five days of our togetherness during New Code NLP course. My special thanks to Abhay. No words to thank you for the wonderful learning you put us through. To be very precise I unlearnt a lot of concepts and learned them right again. Yesterday, I worked on the healer within with my mother whose knees are to be replaced. She can neither walk fast nor can sleep in AC as her knees will become stiff. Yesterday, post the session, she slept in AC due to Chennai heat and to our surprise, she didn%u2019t find any discomfort in walking today. She said her pain has reduced to a great extent. All credit goes to NLP & Abhay Thakkar"
Nagpur, Maharashtra, Indi. . .
" Hi, I attended %u2018NLP Core Skills,%u2019 which was for 2 days as well as %u2018New Code NLP%u2019 training, which was for 5 days, from Abhay sir. My objective of attending the course was to resolve some of the issues I was facing and also learn techniques, which will help me to achieve peak performance level in every aspect of my life such as academic, professional, family and relationships, social and extra-curricular and the course fulfilled the objective. During the course, there were various tools that I learned in Core Skills and New code NLP training. For example, %u2018Circle of excellence,%u2019 %u2018Sanctuary,%u2019 %u2018Fractionation,%u2019 %u2018Alphabet game%u2019. The best part was that it is in experiential based learning course and we played games in the course which actually helped me to improve my state which further helped me in dealing with situations and people around me in much much better manner. It also helped me to get in touch with the power of my unconscious mind and I used it for achieving my desired goals. What I liked about Abhay is that his method of teaching is very experiential and insightful. There were many %u2018wow%u2019 moments I felt during the training. I am very thankful to him for sharing his knowledge with me and everyone. I suggest that if you wish to improve your quality of life, do the trainings from Abhay sir and you will also learn effective techniques to achieve more success in your life. 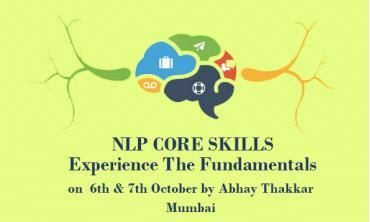 Thank you so much, Abhay"
" The NLP course I attended from Abhay was very informative and practical. The best part of it is that it is very easy to understand and relatable. The application and the methods can be used in daily situations in life. The course will give you a different and positive perspective on life."